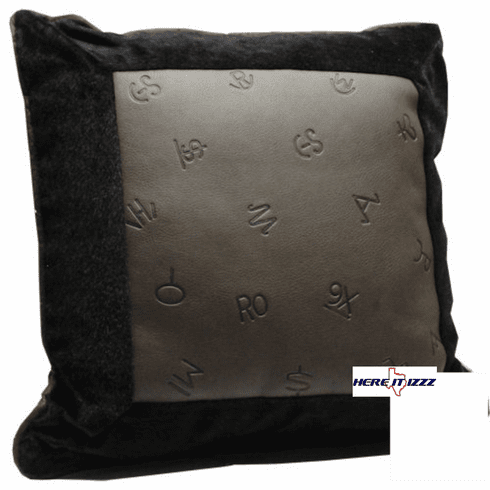 Beautiful furry design pillow with multi branded cattle brands. Beautiful Battleship Gray color and livestock brands spladder throughout. If you're looking to spruce up your Western home or cabin throw a few of these pillows around.